You can buy it online and download instantly. EDIUS is a proven, industry-leading solution for editors working on fast turn production in broadcast news, newsmagazine, and studio program content, as well as professional video editors working on organizational, documentary, and 4K theatrical productions. EDIUS 7 is now a native 64-bit application for Windows 7 and Windows 8 64-bit operating systems, taking full advantage of up to 512 GB (dependent upon Windows version) of installed memory for super-intensive media operations, such as multilayer 4K and 3D editing. Please be very careful with such benchmarks as they are made by top custom systems sellers, so they adjust them accordingly to put as much memory usage and stress as possible. In your reality it can be that it is all simple money waste. Are you all just a bunch of solo editors? I want to hear your experience on collaborative editing. Are you now, or have you ever been part of any kind of collaborative editing environment? If so, what technical solutions have you been working with? I want to hear your experiences. I personally have been a user of Avid interplay for about 10 years now. I am a complete novice, so please bear over with me if my video vocabulary is a bit limited. So what is an inexpensive, easy to use application which can run on a low end low spec laptop (1.5 years old 3mb RAM 2.1GHz MS Vista with some insignificant spec'ed on board graphics chip)? * I usually shoot small sequences of around 20-60 seconds and need to trim them and combine the clips into small videos of max 5 min. * I need some simple sound control as I don't pay much attention to sound when I record video (for example I need to be able to use some ambient sound from one clip to replace the sound of another). * Some text functionality (placing some explanatory text during the video). With possible exception of intelligent use of limitied computing resources I would expect my requirements is covered by most products, so what would be your recommendation for a user friendly application that doesn't require to much PC power? Bit of a noob thing here: I imported 50p footage to a 24p timeline and finished the project. Resolve can't change the timeline after the first clip is conformed, so... I selected all the footage, deleted everything, changed the timeline to 25p and CTRL+Z:ed to bring back the footage. All good, but... all clips are one frame short, so the resulting movie is too short. How can I add one frame more at the end of each clip? MAGIX presents the new version of Fastcut - the perfect solution for amateur filmmakers who want to create exciting videos from their footage and share them. With its versatile new editing templates and practical tools, Fastcut can automatically transform ordinary footage into a perfectly edited video that matches the beat of the music. Fastcut contains tons of impressive new features and improvements - from the formats it can support to templates, video effects and a wide range of export options. If you look at NLE export and encoders you will see one interesting thing. They live in the past. Most of them offer average and below average encoders that works slow and at best use some Intel QuickSync abilities. Compact, best possible quality for client distribution - need usage of CPU based x264 and x265 encoders. Most fun thing is that only few NLEs has any support of very powerful decoding/encoding blocks of AMD/Nvidia GPUs. Sony Catalyst Edit 2017 - NVENC, QuickSync. TMPGEnc Video Mastering Works - NVENC, CUDA, VCE, QuickSync. Our solution was to avoid rewriting the Windows-specific code at all (it was, after all, tried, tested and optimized). Instead, we decided to move it to a new operating-system dependent layer which we engineered to have an OS independent interface. Once this was complete, we were then able to begin work on a Linux implementation of that same layer. In essence, the Lightworks code is now split in two - the OS-independent code (eg. editing, play-engine, etc) which uses the OS-dependent code (eg. file access, threading, etc). The OS independent code accounts for about 97% of the total codebase. The bulk of the work in porting to Linux was actually in re-engineering the existing code, not in writing the Linux-specific layer. Linux of course doesn't have [Windows'] Direct3D, so we had to reimplement all the Linux GPU specific code using OpenGL. This development has been long-awaited. Once again, risk-averse developers are showing us how OSes, once the mainstay of IT revenue, are losing relevance. What's next - Lightworks for Android? -only a few lines of code away. The Pinnacle team today introduces the new Pinnacle Studio 18, Pinnacle Studio 18 Plus and Pinnacle Studio 18 Ultimate, now offering native 64-bit performance and enhanced productivity across your entire video editing experience. Select the version that’s right for your workflow and take advantage of a new 64-bit architecture, Intel Quick Sync optimizations, a streamlined interface and new music from Triple Scoop Music. For users looking for maximum video editing power, Pinnacle Studio 18 Ultimate also offers new 4K Ultra HD Smart Encoding, support for XAVC S (HD and 4K HD), enhanced Live Screen Capture and valuable extras from NewBlue. “No matter which version you choose, the new 64-bit Pinnacle Studio 18 product family offers unprecedented power and control to create amazing video projects. Looking for an editing app that can take anything you throw at it? Pinnacle Studio 18 Ultimate stands out as a premium prosumer editor. Not only can you take advantage of an unlimited number of tracks, pro-level video effects and native 64-bit performance under the hood, Ultimate also extends its 4K HD capabilities with Smart Encoding and support for the latest XAVC S cameras. For anyone who wants to create their own spectacular HD and 4K HD movies, this is an incredibly powerful editing environment,” said Michel Yavercovski, Director of Product Management for Pinnacle. Complete with a streamlined interface, Pinnacle Studio 18 offers a faster, more responsive movie-making experience. 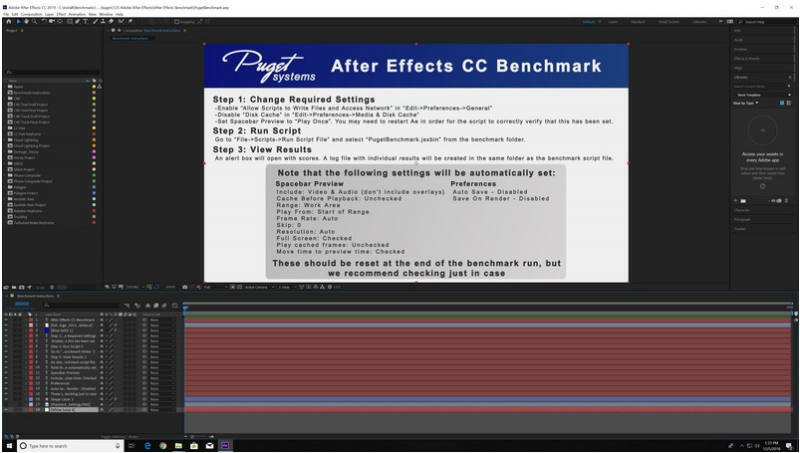 Now with a native 64-bit architecture, Pinnacle Studio makes the most of your computer’s processing power and memory for fast multi-track rendering, smoother file handling and more. Easily import and edit your clips right inside the built-in media organizer. Try SmartMovie to make a movie in minutes or dive into editing on the 6-track timeline. Add excitement with over 1,500 2D/3D effects and 17 royalty-free music tracks from Triple Scoop Music. Integrated cloud access and support for Pinnacle Studio for iPad means you can make movies anywhere. When it's time to share, it's easy to send your movies to Facebook, YouTube, Vimeo, iPad, Apple TV and Xbox. Take on any video-editing challenge with Pinnacle Studio 18 Ultimate. Ultimate builds on its native 64-bit power to help you create breathtaking movies with new 4K Ultra HD video Smart Encoding and support for the XAVC S format. Record directly from your screen with the enhanced Live Screen Capture. Get creative with advanced 3D features, edit on unlimited tracks, and energize your videos with 700+ presets and over 55 plugins from industry leader NewBlue. Add the perfect soundtrack with 17 royalty-free tracks from Triple Scoop Music and enhance audio with iZotope Music & Speech Cleaner. Easily share your movie on Blu-ray disc and your favorite social sites and devices. Pinnacle Studio™ 18, Pinnacle Studio™ 18 Plus, and Pinnacle Studio™ 18 Ultimate are available now in 13 languages. Suggested retail pricing of Pinnacle Studio 18 is $59.95 (USD/CAN/AUD)/ EUR 59.95/ £49.95, Pinnacle Studio 18 Plus is $99.95 (USD/CAN/AUD)/ EUR 99.95/ £79.95 and Pinnacle Studio 18 Ultimate is $129.95 (USD/CAN/AUD)/ EUR 129.95/ £99.95. There's a YouTube user called ekzotica who has been posting some nice-looking videos from the G2 using this plug-in. I don't yet own a G-series camera, but I'd like to get one (probably G2) and I'd like to be able to achieve similar results. What would this involve? Title reveal is easy enough. The masking tool is readily available in the Effects panel under the "Text" item you're working on. Use motion and the title is revealed as it enters into the mask. I want to do exactly the same thing with a png graphic logo, but I cannot figure out how to mask. Google keeps giving me opacity masking options that are not relevant. You're help will be most appreciated! Hi, guys. Do you know any software (free is possible) that allows you to trim Panasonic's (GX85, in the case) MP4 4k files without recoding? I have a lot of footage with begin / end without usable material (the shutter button of the GX85 sometimes did not stop the recording), and I wish to trim the excesses before moving it to my permanent storage. The software is designed to be easy to use yet powerful, and a great introduction to professional video editing software. Media Composer | First has all the tools to create a project from start to finish and to deliver a finished movie in professional formats and to popular web outlets, unlike some freeware products that disable critical features like saving or delivering finished projects. It includes many of the same features as industry-standard Media Composer. It also lets you expand those tools and feature sets through additional purchases including plug-ins, options, and additional applications. You’ll also be able to buy stock footage and music. All Media Composer | First projects are stored in the cloud; some projects and cloud storage space are included,, with the opportunity to purchase more. Additionally, users have the opportunity to upgrade to a full version of Media Composer without losing any options, plugins, projects, add-ons etc. that were purchased with Media Composer | First. Media Composer | First is still in development, and won’t be available until later in 2015. It will also offer limited functionality. 1 - use noise reduction "-5" in camera and use neatvideo in post production for a better quality denoise. 2 - use noise reduction "0" in camera and avoid neatvideo in post-production for a faster workflow.